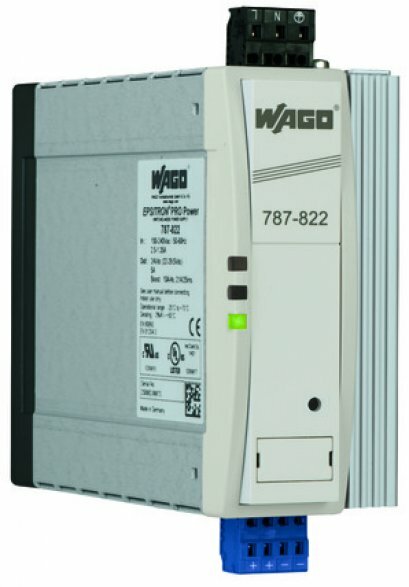 With the 787-870 UPS Management Module and the connected battery modules, unpredictable power failures are a thing of the past. Unpredictable power failures are a nightmare for any machine or equipment operator. 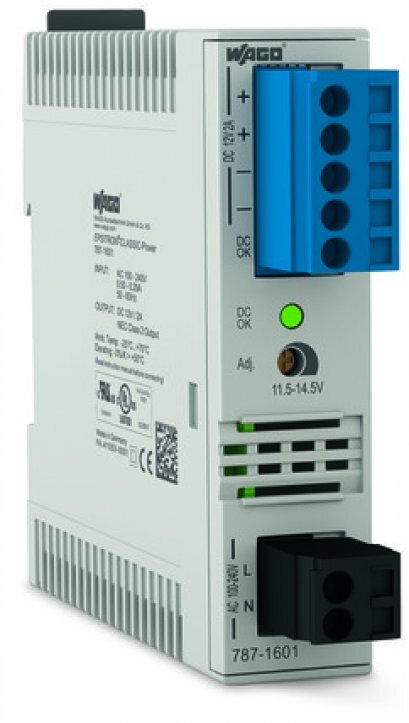 If a PLC is suddenly shut down due to a power failure, loss of production data (e.g., formulations or protocols) may follow. 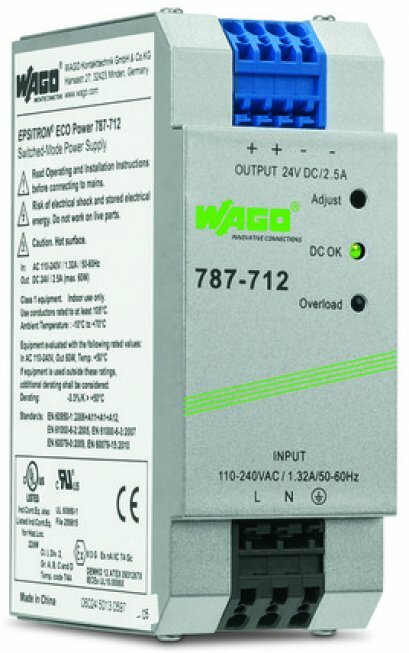 To prevent these losses, the Uninterruptible Power Supply, consisting of UPS Charger and Controller (787-870 or 787-875) and one or more connected batteries, reliably power the application for several hours. The charging voltage for the connected battery is temperature-controlled, significantly extending the battery's service life and minimizing maintenance costs. 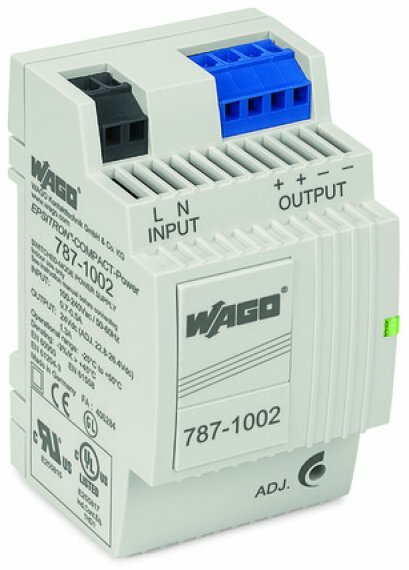 The UPS module supports complete current and voltage monitoring while featuring numerous signaling options via display and RS-232 interface.